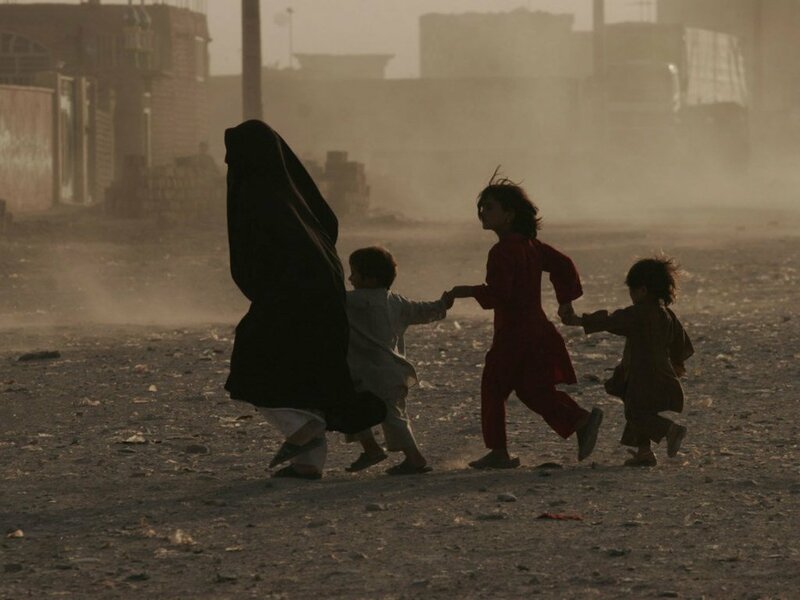 A woman along with her children runs across a dusty street in Herat, western Afghanistan. Civilians across the country continue to bear the brunt of the conflict. According to the quarterly update on protection of civilians, issued on Wednesday by the UN Assistance Mission in Afghanistan (UNAMA), 8,050 civilians died or were wounded between January and September, with use of suicide bombings and other improvised explosive devices (IEDs) by anti-government elements, accounting for almost half the casualties. 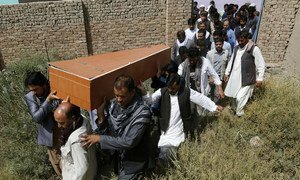 “Every civilian death leaves a family devastated, grieving and struggling to come to terms with the loss, and each civilian injured or maimed causes untold suffering,” Danielle Bell, the head of UNAMA’s human rights office, said in a news release. 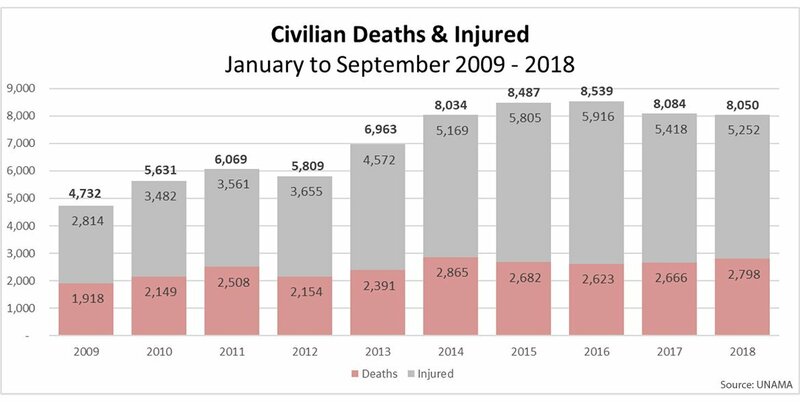 Across the country, Nangarhar, Kabul, Helmand, Ghazni and Faryab provinces recorded the highest number civilian casualties, and for the first time, Nangarhar (located on the border with Pakistan) surpassed the capital Kabul in terms of highest number of deaths and injuries. “The worrying rise in civilian casualties in Nangarhar reflects an unacceptable trend that is indicative of how Afghan civilians continue to bear the brunt of this ongoing conflict,” added Ms. Bell. The report also found that ground engagements were the second leading cause of civilian casualties, after suicide attacks and IEDs. This was followed by targeted and deliberate killings, aerial operations and explosive remnants of war. Of grave concern was the increasing direct targeting of civilians, including ethnic and religious minorities, noted the report. Actions by pro-Government forces resulted in 761 civilian deaths and 992 injures, while 231 civilians perished and 602 were injured in crossfire between opposing fighters. In the news release, the top UN official in Afghanistan reiterated his call for an immediate and peaceful settlement to the conflict to end the suffering of the Afghan people. “There can be no military solution to the fighting in Afghanistan,” said Tadamichi Yamamoto, the Special Representative of the Secretary-General for the country and the head of UNAMA. UNAMA also called on all anti-government elements to “immediately cease” the deliberate targeting of civilians, particularly with the use of illegal and indiscriminate IEDs, and underscored the need on all parties to uphold their obligations under international law, at all times, to protect civilians from harm. Authorized by the Security Council, the UN Mission works to lessen the impact of the conflict on civilians and issues regular reports on the situation. Since 2012, the civilian causality reports have been prepared jointly with the Office of the UN High Commissioner for Human Rights (OHCHR). The findings are based on strict verification regime including in depth investigation into the incidents.